In today's market there are few options once you are in Pre Foreclosure. Get a fair, no risk offer on your home today. We'll pay top dollar for homes in this area, so if you need to sell then look no further. Simply complete the short form on this page and we'll contact you to make a no risk, free offer on your property. A foreclosure can ruin your credit and cost you tens of thousands or even hundreds of thousands of dollars. We have experience in this area so let us put that knowledge to work for you. 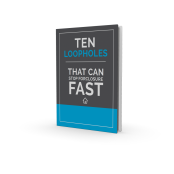 It costs nothing...Fill out the short form to download our FREE report, "10 Loopholes That Can STOP Foreclosure Fast"
We are a Real Estate Investment Company that can help! Millions of Americans have been affected by our current foreclosure crisis and many of them have found a way out. Foreclosure is not a "NEW" problem facing our country - but you must take action today. If you need immediate assistance then you'll have an opportunity to tell us more about your situation after filling out the above form.